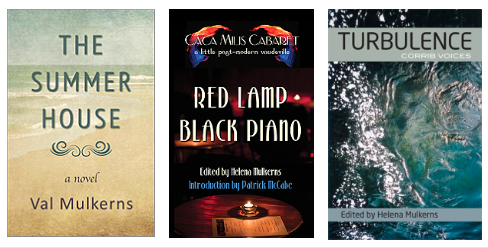 All three of our current titles are available not only as paperbacks, but in Kindle and e-Book versions too. The Summerhouse, Red Lamp Black Piano – and Turbulence – Corrib Voices will be coming along right in time for your virtual Christmas stockings. Watch this space for publishing dates.